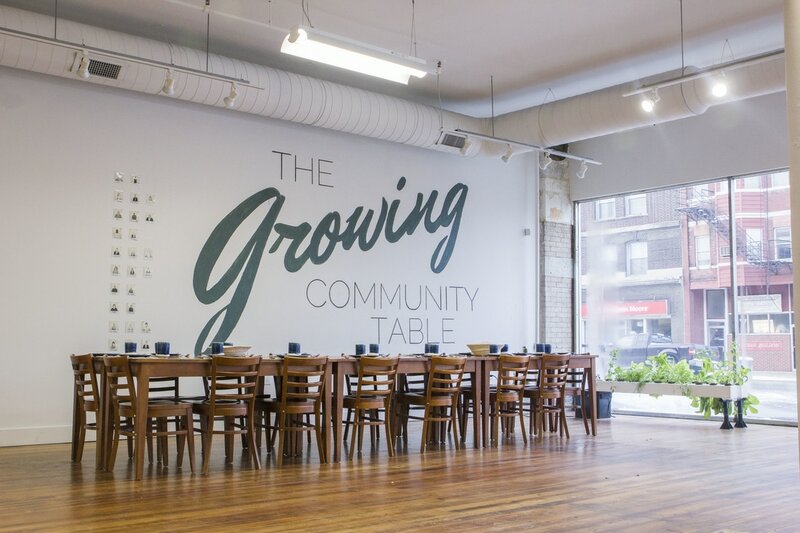 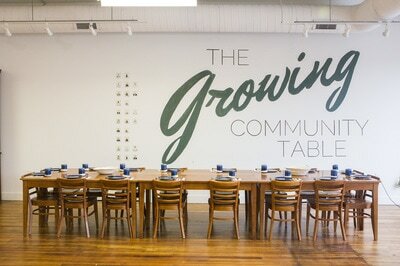 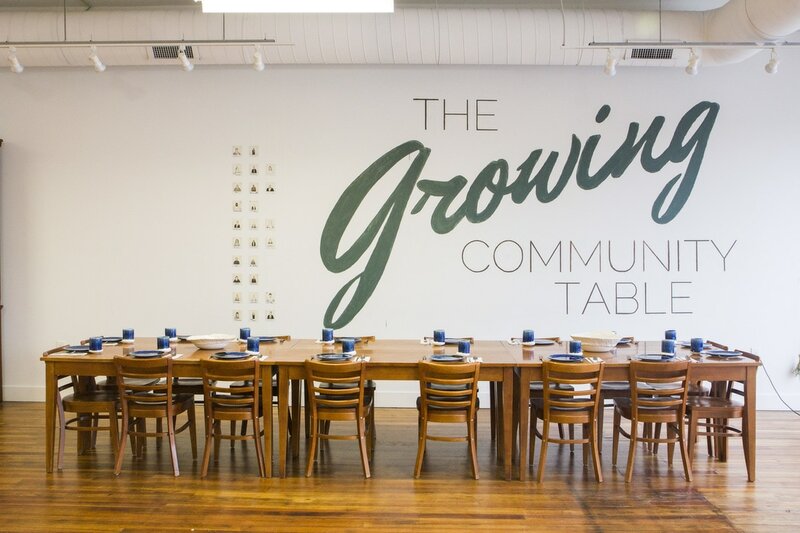 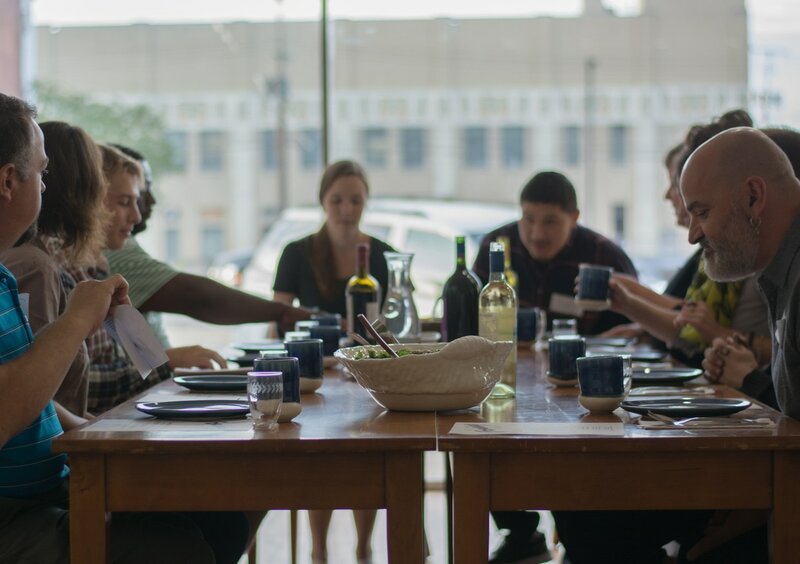 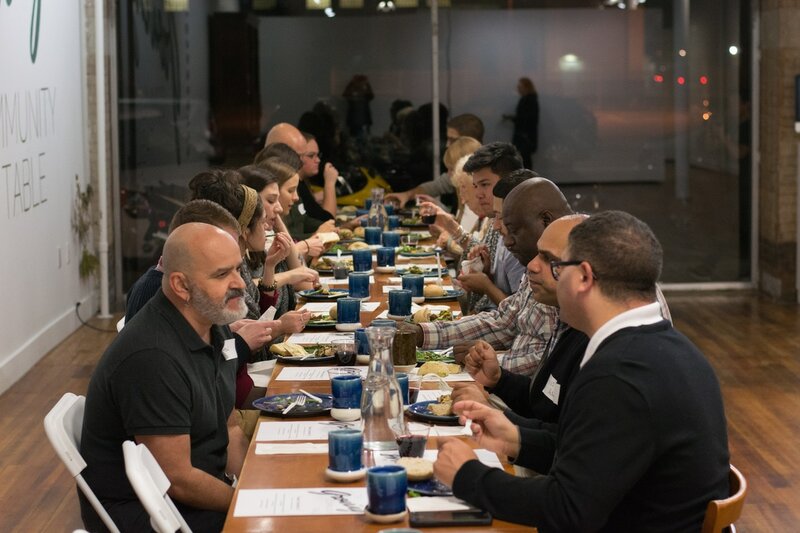 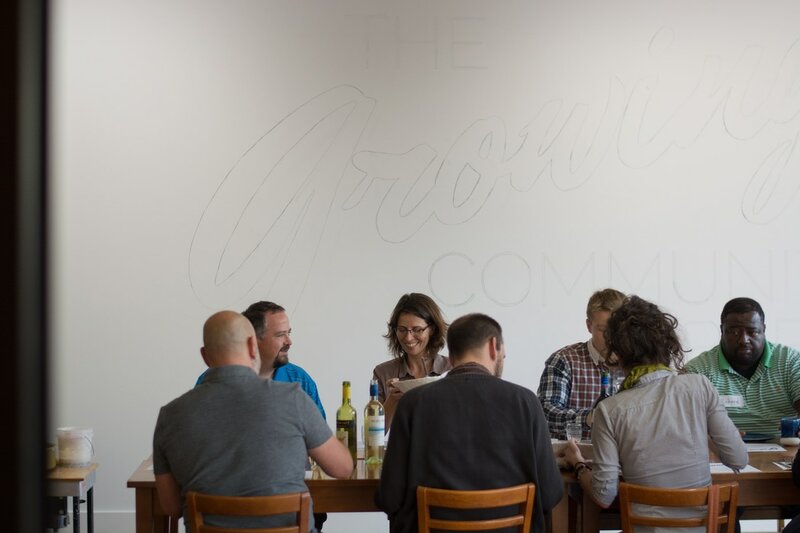 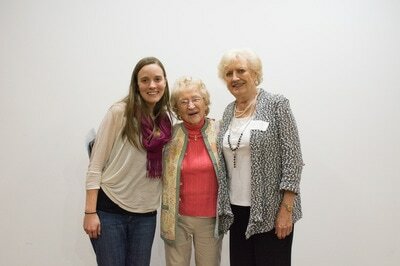 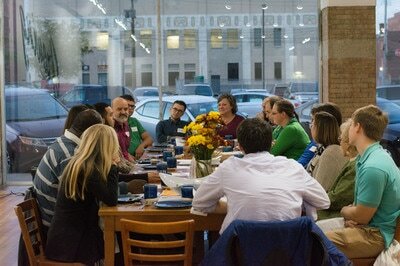 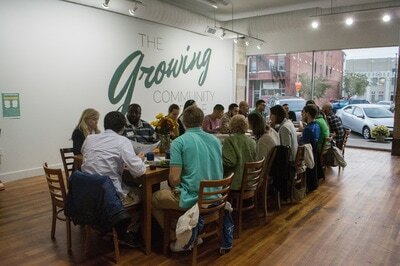 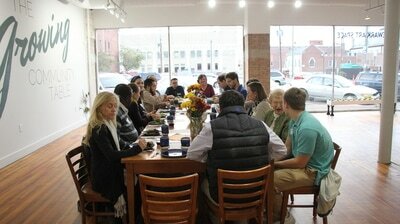 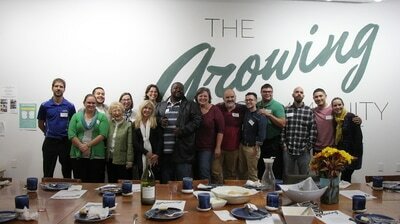 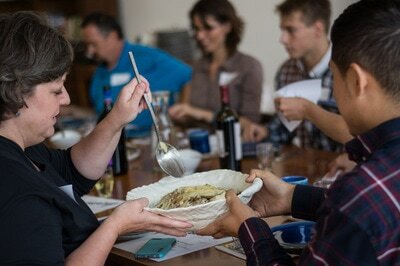 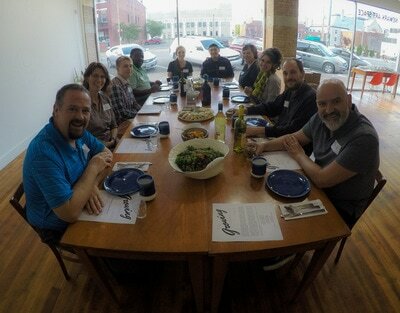 The Growing Community Table was a series of meals that took place at Denison Universities Art Space in Newark. 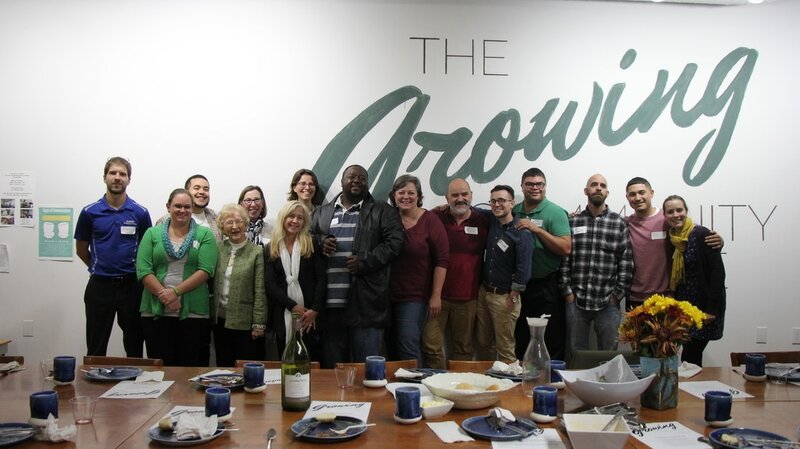 The project aimed to bring people together from the adjoining communities of Newark and Granville, Ohio. The table grew as the number of guests increased at each meal starting with ten, then twenty, and then thirty. 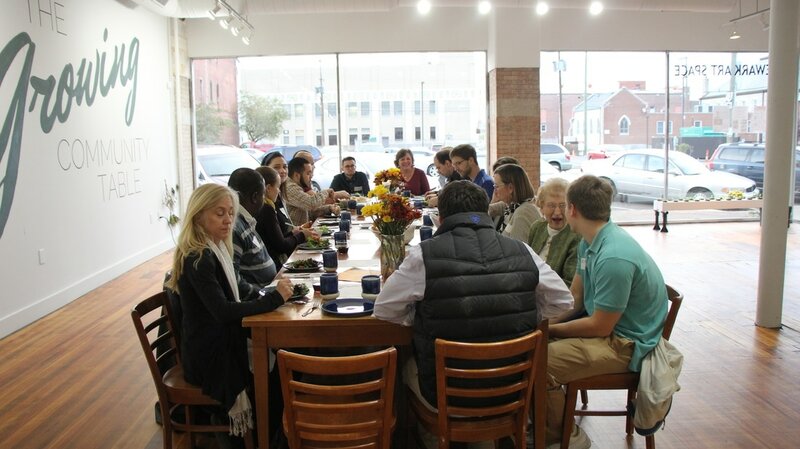 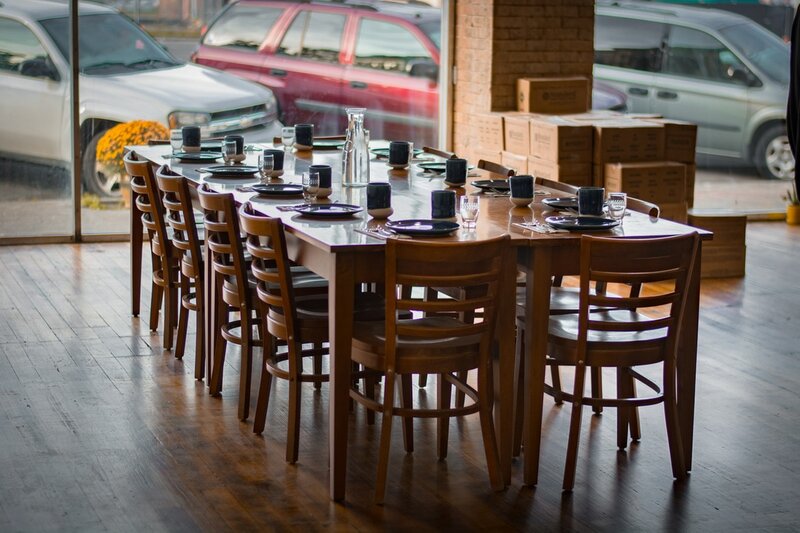 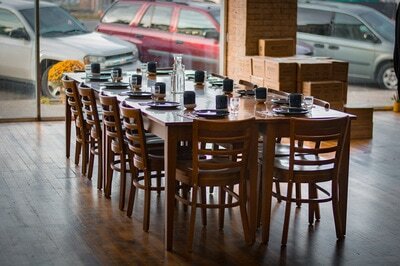 The initial meal was held in September with 10 guests. 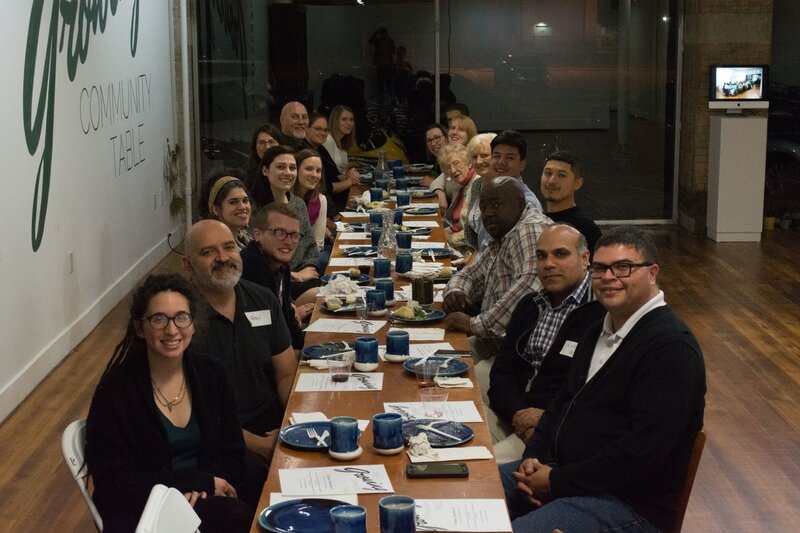 They were asked to return in October and bring a guest from their respective community with whom they would to forge a relationship with. Each month the new guests were asked to invite another person to join in the cycle of meals. The second meal took place in October with 20 guests: 10 of the preceding guests and 10 new guests. The 10 new guests from October were asked to invited someone to the following meal in November where there would be 30 guests. 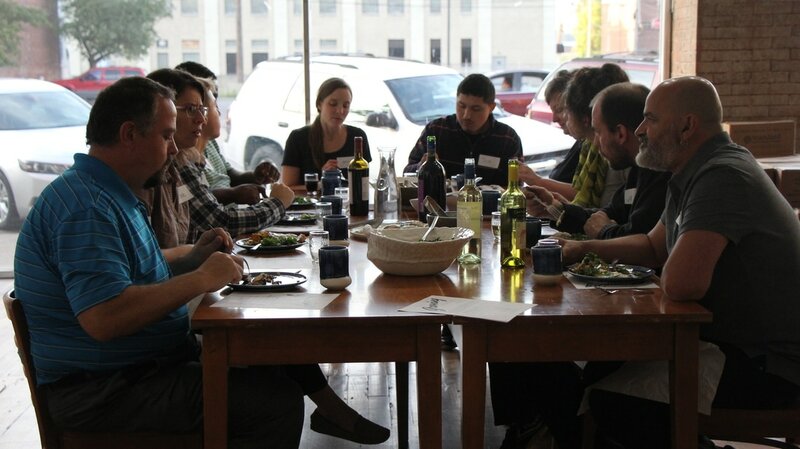 In December, we held a community potluck and invited the public to join us. 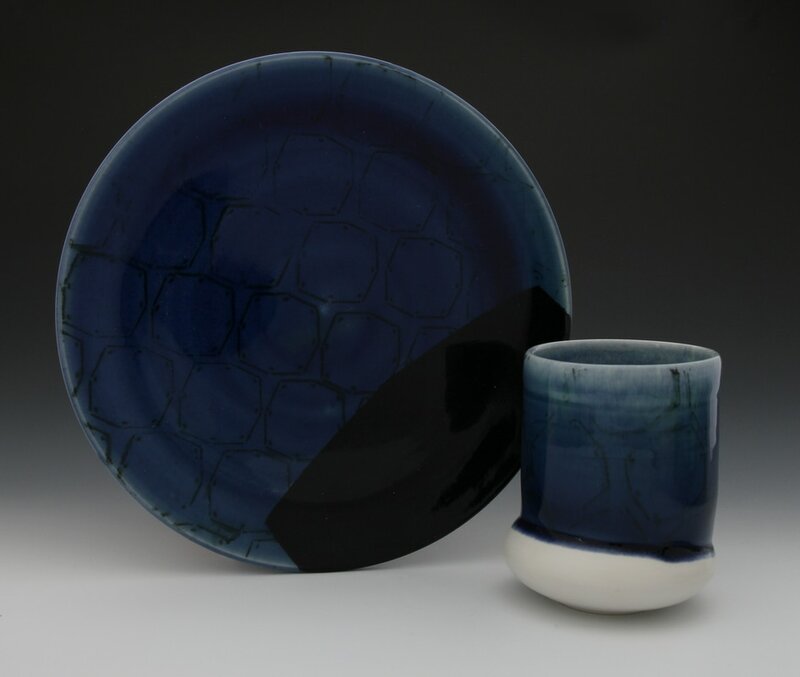 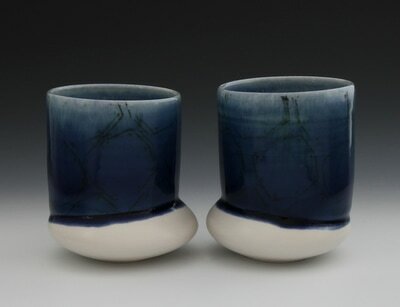 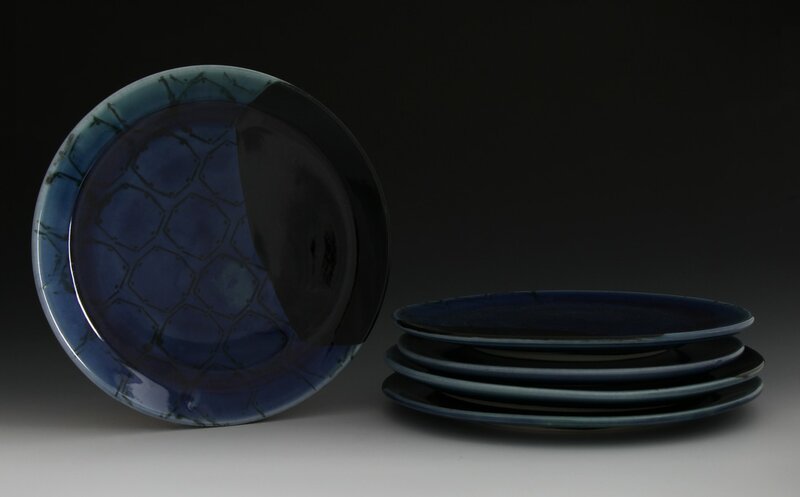 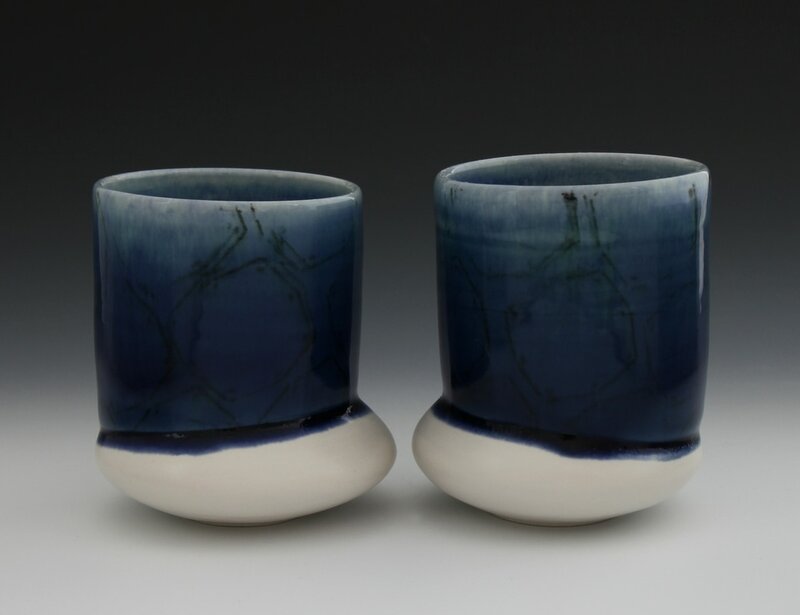 The Growing Community Table dishes were created with a pattern inspired by the Octagon Earthworks that is part of the larger geometric system of Newark Earthworks a National Historic Landmark that trails across central Ohio.